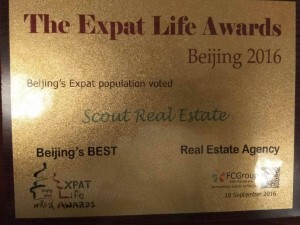 The Expatriate community has designed Scout Real Estate as BEST Real Estate Agency for 2016. Covering 25 categories of service providers in 2016, the ELAs (Expat Life Awards) have been designed so that the Expatriate community could show their support for their preferred vendors by an on-line voting process. 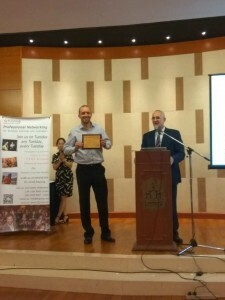 The FCGroup together with China Expert International Ltd. have organized the 3rd Annual ELAs (Expat Life Awards). 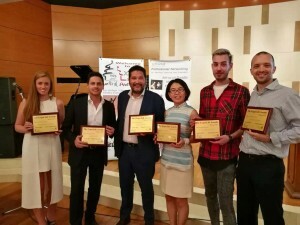 The Expat Life Awards Ceremony and Gala Dinner were hold on 10 September 2016 in the Capital Club Athletic Centre. In 2015, we received the award for “highly recommended Real Estate Agency” and SCOUT Real Estate would like to thank you for your support and our team understand this award as an encouragement to provide you with even better support for the year to come.